If you’re among the 91% of B2B marketers who are using content marketing (or maybe you’re just the 86% of B2C marketers), you can probably relate to the pain of trying to manage your content production, promotion, and evaluation. Virtually every marketer out there is doing content production. A high percentage of those marketers are even tackling the promotion part of content marketing, at least on an intermittent basis. But a very small percentage are executing on the full cycle of producing, promoting, measuring, and improving their content marketing. Why Do So Few Marketers See The Big Picture? Marketers fail to improve partially because content production is too easy. You don’t have to improve to press publish on another blog post. You don’t have to measure results to crank out another video. You don’t have to promote your previous material before you can tweet, post, or share again. But failing to execute on the big picture leaves marketers scratching their heads 6 months down the road. Those blog posts didn’t get any better, so the traffic boost was minimal and failed to compound on itself. The videos quickly got off-topic and weren’t helpful because nobody measured the results to see how your audience reacted. And you saw a dismal return on your investment in content offers because you were too distracted to ever promote them to the right people. Just like you invest in product development or improving your services, your marketing efforts need to constantly be improving. It’s important to invest in content marketing, but you have to measure the results and tweak the system to maximize the return on your investment. Most marketers fail because they don’t have a system for maximizing the impact of their content marketing efforts. This is where we see the power of planning blog content and using an editorial calendar. By using an editorial calendar and implementing the Content Branching System, you start the process of replacing your shotgun blogging approach with a systematic strategy that takes your overarching marketing plan and breaks it down into the day-to-day actions that are required to win with content marketing. 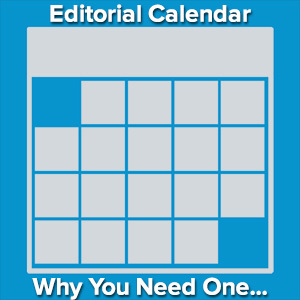 Your editorial calendar should be built around specific campaigns that have beginning and end dates, as well as clearly defined SMART goals. The editorial calendar will include both your blogging schedule and promotional schedule, and at the end of each campaign you need to evaluate your success and identify what should be improved for future campaigns. Planning your blog content and promotional schedule brings a new level of clarity, detail, and effectiveness to your content marketing efforts. How Do You Actually Make Content Marketing Work? If you’ve bought into the idea of content production, promotion, measurement, and improvement, and you’ve even started planning out your campaigns, now you may be struggling with putting all the plans in motion. DoInbound – an awesome tool and platform for a content marketing team that needs to learn how to track activity, manage tasks, systematize processes, and scale their efforts. More than just a tool, it includes methodology and proven processes used by the most successful content marketers. CoSchedule – a new paid WordPress Plugin that integrates blogging with social media updates. Editorial Calendar – A free WordPress Plugin that only allows you to manage your blogging calendar. Now that you recognize the need for effective planning, understand the basics of an editorial calendar, and have some specific tools to implement better content marketing, it’s time to get started – good luck, and leave a comment with any questions or tips!